First Day First Show (FDFS), in a film theater, is the preferable way of watching Tamil Movies. Milk Abhisekams and garlands are the regular ways of welcoming movies in Tamil Nadu on Friday when it is released. 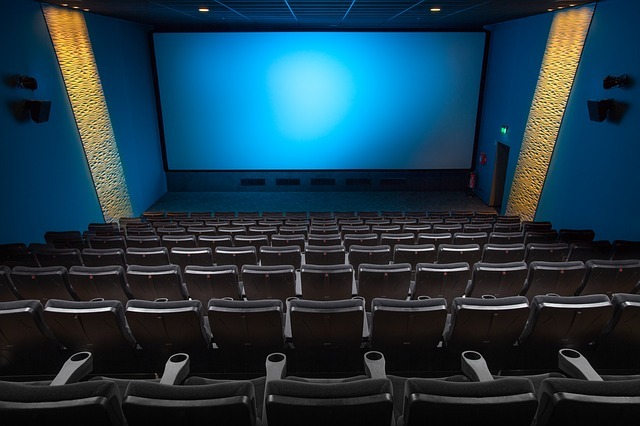 If you are a student with some free time on hand, or you reside in Tamil Nadu, you might sometimes enjoy a movie in the theaters with the hordes of fans who come to the theater FSFS. Others need to depend on other sources to see their favorite Tamil movies. There are various options, but if you pay a small premium, you can watch your favorite or latest movies legally, with HD picture quality and perfect sound effects. There are other sites too, which provide Tamil movie content illegally. The problem is that most movies have poor picture quality and sound. The streaming is not continuous as well and you have to reboot your system several times before you see the end of the movie. Third and most important, by encouraging pirated movies you are causing a huge loss to the Tamil film Industry which the provider of wholesome entertainment that you miss when you are away from home. Encapsulated below are few legal sites streaming the latest as well as classical Tamil movies that you can download or watch at your leisure, online. Herotalkies.com is one legal website which has earned appreciation from the press - The Hindu, The Indian Express, Times of India, the TV sector – Thanthi TV and the Web – YourStory.com. It is a venture started by V.Pradeep and his brother V.S.Athiyan, as the former missed his favorite movies when he shifted to Hyderabad. Presently Hero talkies has more than 20,000 users who vouch for the good work done by the site. The quality of their movies is great; featuring 1080p HD and 5.1 Surround Sound. The monthly charges amount to $7.99 since it sources overseas rights for Rs. 2 Lakhs to Rs.10 Lakhs. You can watch Hero talkies movies on Android Smart TV, Roku and IOS. Check out their sample movie video for the movie clarity they offer. Bigflix is available in 15 languages including Tamil and was initiated in the year 2008. The movies can be streamed across smart phones, iPad, Desktops and smart phones. They have categorized movies based on genres like drama, romance, and comedy and you can choose among 1500 Tamil, Bengali, Punjabi, and Telugu movies according to your mood. Seamless transition from one device to another with the same login ID is another USP of BIGFLIX. You are offered one month of free movies on registering with Bigflix. The monthly charges are nominal. Tentkotta is one good website where you watch not only Tamil but even Telugu movies. Watch it on anything you like - Roku, Apple App store, Google Play, Apple TV, Amazon fire TV, Google TV, Samsung smart TV, nexus, LG Smart TV and XBOX ONE. It is a leading website providing streaming services like 600 Tamil Movies, 100 Telugu movies, Short films, TV serials, and news. 5. Quality is High definition (HD) Audio – Dolby 5.1, along with subtitles. 24X7 Help service, where the customer support clarifies any doubts you may have. The monthly charges amount to around $ 7.99 per month. The site is favored by many but some people feel that streaming is not good enough and there might be some additional amounts charged by them monthly. Along with movies of Tamil, Kannada, Hindi, English and Bengali, this site has a great collection of songs as well. Ayngaran Production is pioneer film distributor in Tamil Theater and home videos dating to the late 1980s. They have a good library of movies online. it has movies in Tamil, Telugu, Marathi, Kannada, Malayalam, English and Telugu. Hot star has a unique collection of comedy movies, popular movies, action and popular movies. Netflix is one of most popular content provider where you can watch movies and tv shows on your ip smart tv or stream to your mobile phone, Pc , ps4 or xbox game console, mac. Amazon Prime is owned by well known online shopping company called amazon. They are offering movies tv shows, Ad free music, and unlimited photo storage. All these sites are targeted at the Tamilians and other Indians movie buffs across the world. Watching movies in theaters is fun, but when you are in a remote far off place, these same movies give you a warm homely feeling. there are some tamil movie websites like tamilyogi.com, tamilrockers.com, cooltamil.com do offer movies online for free but they are illegal and very bad quality. in order to get the maximum feeling of the movie, you should watch it in theaters.